Fingal County Council was chosen as the noise regulator. THERE WAS INTENSE pressure on Transport Minister Shane Ross to appoint a noise regulator for Dublin Airport even though officials knew accusations of a conflict of interest were certain to arise. Ross chose Fingal County Council as noise regulator despite the fact 8% of its total budgeted income each year comes from the Dublin Airport Authority. Internal records show how the Department of Transport knew there would be suggestions the council was conflicted, describing it as a “likely angle of attack”. The plan had to be rushed through after plans to appoint the Irish Aviation Authority as the regulator were ruled out on the advice of the Attorney General. The Attorney General had warned that the Aviation Authority was too dependent on funding from Dublin Airport to be considered independent. A briefing prepared for Minister Shane Ross explained how the Department was “acutely aware of the time pressures” to find a replacement. Fingal County Council was chosen with a promise of extra resources for them to deal with the extra workload and An Bord Pleanála as an appeals body. However, the Department was already conscious their choice would be criticised because of a perceived financial conflict of interest and also the possibility that they were not “sufficiently competent”. In an internal memorandum for the minister and officials, they were given five bullet points to counter this “likely angle of attack”. They said Fingal already dealt with noise issues for roads and railways, would be open and transparent, and was used to dealing with planning issues and public consultations. They said another point of attack would be the considerable delays there had been in making the appointment of a regulator. Internal briefings also describe how the minister could play down how dependent Fingal County Council was on income from Dublin Airport. A speaking note for him said: “It is my understanding that DAA [Dublin Airport Authority] rates represent approximately 8% of Fingal County Council’s overall budget income. That is not an insignificant amount, of course, but simple math tells us that it gets 92% of its income from other sources. Many other large and small businesses pay rates, and homeowners pay property tax. Another line put forward suggested that asking if Fingal was “unduly beholden” to airport income was no different to questioning the independence of all local government powers and funding. Other records explain how Fingal came to be chosen with other agencies like the Environmental Protection Agency (EPA) and Commission for Aviation Regulation ruled out. According to one document, the EPA did not have the “organisational capacity” to get the noise regulation up and running quickly. The Irish Aviation Authority could not be used because it “benefits directly, and on a commercial basis, from increased aircraft activity”. The Minister of Transport himself was also ruled out because his department receives dividend payments from the DAA while creating an entirely new agency would involve “considerable set-up costs” and an “extended timeline” to build from scratch. In a statement, the Department of Transport said Minister Shane Ross was satisfied Fingal County Council was “the most appropriate body” for the role. 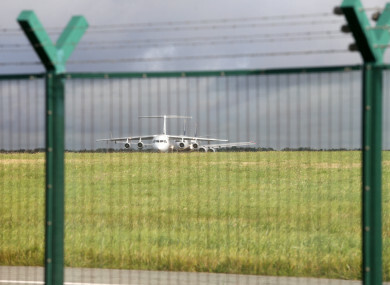 The Department said a speedy decision was needed because clarity on airport hours of operation would be needed before the new runway opens at Dublin Airport in 2021. Email “Pressure on Ross to appoint Dublin Airport noise regulator despite conflict of interest concerns”. Feedback on “Pressure on Ross to appoint Dublin Airport noise regulator despite conflict of interest concerns”.